Summary of Mississippi Usury Law(s) / Quote: "Legal: 8% / Contract: 11%; 15% on organizational loans over $2,000 / Judgment: 8% / Corporate: 15% over $2,500"
Legal Maximum Interest Rates: Quote: "8%, Mississippi Code 75-17-1; contract rate not to exceed greater of 10% or 5% above discount rate as per Mississippi Code §75-17-1"
Usury Penalties: Quote: "Lender forfeits all interest and finance charges; if rate exceeds maximum by 100%, any amount paid (principal or interest) may be recovered; person willfully charging usurious rates guilty of misdemeanor and fine up to $1000 as per Mississippi Code 75-67-119"
Judgment Interest Rates: Quote: "Judgments at contract rate if contract exists; otherwise at per annum rate set by judge as per Mississippi Code 75-17-7"
Legal Exceptions: Quote: "Residential real property loan as per Mississippi Code 75-17-1; Mobile homes as per Mississippi as per Code 75-17-23; Partnership, joint venture, religious society, unincorporated association, or domestic or foreign corporation as per Mississippi Code 75-17-1 "
Santosh ended up in court over a dispute he had with one of his neighbors. The long and the short of it is that he lost the court case and now owes almost $10,000 for what he owes his neighbor, court fees and his lawyer as well as his neighbor’s lawyer. He is incredibly frustrated however if he does not pay what he owes, he will be in contempt of court and probably will owe even more money. Between some cash he will receive in a month or two and what he can pay from his regular income, he could repay this debt over the next ten months. Unfortunately, the debt must be paid now or he will be in contempt of court. He also has some investments he could sell now; however, it could take as long as two weeks for settlement which also puts him past the due date. He needs $10000 now to pay what he owes and wants a term of four years to keep the payments low until the money he is expecting arrives. He plans to repay the loan in total within the next twelve months and then never speak to his neighbor again! He has a good income and other than this dispute which somehow got registered against his credit score he has a good credit rating. If he does not pay this court assessment on the due date, his credit score will drop because of what will be considered a judgement against him and a missed payment. Sometimes it is just better to pay up or forget whatever you are angry about. Even though Santosh thought he as in the right, the judge did not agree and it ended up costing Santosh a lot of money and a potential black mark on his credit score. Santosh is not sure which he is more frustrated with – losing, paying all of these legal costs or the threat to his credit score. This will be considered a short term loan and since Santosh has the assets to sell to repay the loan which he has already placed for sale, he should have no problems being approved for this loan. Santosh was able to provide direction to his investment expert to direct him to repay this loan and then send the remaining proceeds from the sale to him. This is a pretty good guarantee for the lender and made it much easier to approve this loan. Not to judge the actions Santosh took and knowing that hindsight is always 20-20, Santosh would have been better off to just pay his neighbor what was owed. He would have avoided the court costs and legal fees. He would have been much further ahead and may have not even needed this loan, which would have reduced his cost even more. i.e. no interest to pay. If you live in the State of Mississippi and you're struggling to get a loan approval with a bad credit rating we hope our website helps you in some way. 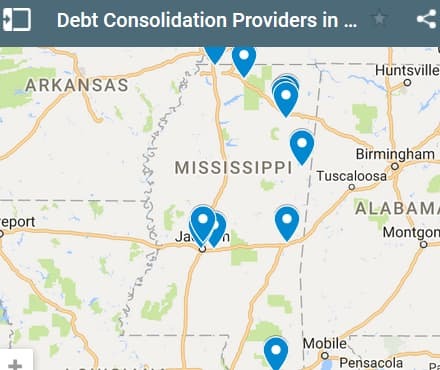 Last 5 debt service approved in the State of Mississippi. Source: WFL Lender Pool. Updated Weekly. Principals rounded to the nearest $1000. Relative interest rates listed below in order left to right. For the State of Mississippi we have a starter list above you can consider if you have a fair to good credit rating. But if you have a bad credit score you're going to want to use the application above. 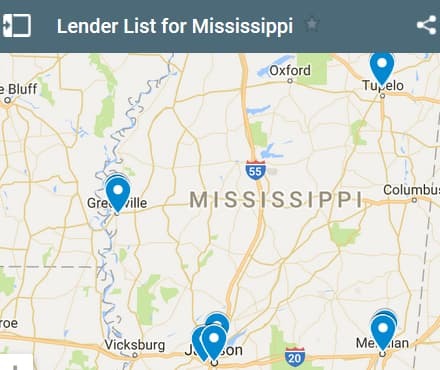 When you submit your pre-app you will have your loan application viewed by local Mississippi lender as well as nation wide lenders. Make sure you're upfront about ALL of your debt(s). Very important because lenders will just write you off if they catch you flat footed making false statement - and that's if you KNOWINGLY make a false statement or unknowingly make a false statement. So make sure you thoroughly understand your financial situation and have all your credit debts written down for a fast recall. Britt needs a debt consolidation loan to help her deal with swimming pool repairs, credit card debt and to purchase a new lawn mower. Everything seems to occur at the same time for Britt. First her credit card statement arrived and she realized that she did not have enough cash to pay the entire amount prior to the due date. This will trigger 21% interest rate charges on her overdue balance. Next came the lawnmower which choose to spew black smoke and then the engine died. Her neighbor loaned his lawnmower to her so her husband could finish mowing the lawn, however they need to buy a new one. The existing lawnmower is beyond repair. Then there is the pool. The liner has a leak and it is going to need a new liner since it is already 15 years old and the vinyl has become brittle. The pump and sand filter should be upgraded as well to change from a chorine treated pool to a salt water pool. All of these items are going to cost at least ten thousand if not more. She would like to apply for an eleven thousand dollar loan and repay it over a period of four years. They really did not need this expense just now, but there is really nothing that can be done other than to make the repairs and pay off the debt as quickly as they can. This is the last thing that Britt and her husband need right now. They were really doing well and had just paid all of their debt from previous loans with the exception of the credit card debt. They have a small mortgage remaining and no car loan, which makes them great candidates for this loan. As much as they would prefer to avoid borrowing more money, this is the right approach to take. They could charge the lawnmower to their credit card but then they would just end up paying more interest at a really high rate. The pool must be repaired. If it is not repaired it will deteriorate quickly and the costs to repair it will escalate even further. Their credit rating is in good shape. Although not in perfect shape, it is more than sufficient to support this loan. In addition, their cash flow is such that they are under the 35% ratio that lenders look for when confirming that a client has sufficient income to meet the terms of the loan payments. With this loan approval and repayment of their credit card debt, their credit utilization will also improve which will also help to improve their credit rating. This will be a good thing for them if they should decide to apply for future loans. 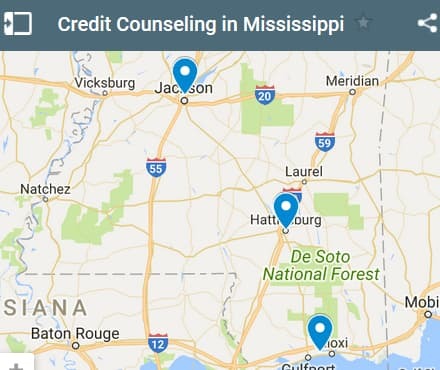 If you live in the State of Mississippi and you're trying to get approved for a debt consolidation loan, we hope our website helps you find a good lender regardless of your credit rating.